Palm sized press run a FREE flash comp every month where you write a piece in response to a photo prompt and they post the entries on their site. The first ever Zeroflash anthology is coming – as an ebook- I have a piece of flash out in it; David Wing set up Zeroflash and it has gone from strength to strength. You’ve been waiting and you’ll have to wait a little longer, but here is the list of those that will be featured in the first ever, Zeroflash anthology and the illustrated front cover by long term colleague, Sophia Johnson. We’re also pleased to announce that the interactivity within the E-book will allow for those pieces performed by voice artist Elijah Lucien and his team to be listened to also. Badlands is out in paperback/Sirens Song mag accepts my fiction…. A box arrived today and inside were my copies of ‘Badlands’ from ChapelTown Books; all shiny and glossy! Very exciting! I am of course biassed but I think they look great and feedback on the cover and cut of the book has been excellent. A big thank you to Gill and Martin James for all their hard work. 6th Annual Women in Horror Month Issue – we’re dedicating our February eZine to women who write horror! I am delighted that they have accepted 3 of my drabbles and a piece of Flash for publication. Ellipsis zine : Two- includes a piece of my flash…. 300 words or fewer from 51 of the best contemporary flash fiction writers. 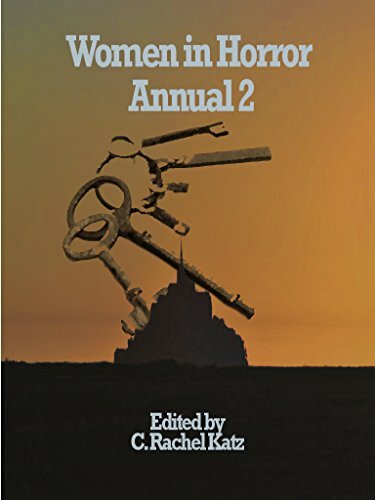 Review of Women in Horror Annual 2 and my story entry ‘Mother Love’ by David Longhorn of Supernatural Tales …..
Alison Faye’s story in WHA 2 is an interesting variation on a theme explored by – among others – Ray Bradbury. A boy struggles to make the best of a situation in which there can be no good outcome. The style and setting are olde worlde, but there’s nothing quaint or twee about the imagery. Poor little Ernest’s mother has lost it, his father has gone, and the body of a baby brother is occupying a lot of his attention. Worthy gentlemen try to gain admittance to the house, but Ernest is having none of it. There is a mad logic to it all, and the engine of the story is the way children are sometimes forced to confront situations that would defeat most adults. While relatively little happens, the overall feel is of a dark, twisted version of one of those familiar Victorian paintings like ‘The Awakening Conscience’. This one is not taken from the life, though. 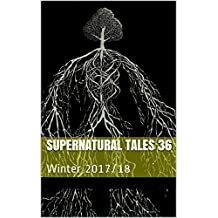 So, another well-written tale from this interesting anthology, and we’re nearly done. The last story is coming up! Fiction written at my creative writing workshop at Jane Fielder’s art gallery in Bingley…..and comps to enter before 31 January….. The theme of the workshop was ‘Childhood Memories’ inspired by Jane’s lovely paintings and book. I have posted a short piece of flash from Ashwin Vyas, which beautifully creates the scene using the five senses. This was a key theme of the workshop; how writing by evoking the 5 senses, can take a reader into the heart of the story much more effectively and swiftly. Early morning in Kenya, when the sun is low on the horizon, is cool and fresh. I would go into the kitchen to watch my mother make breakfast for the family. She would be wearing a pastel sari with either a matching blouse or a plain white one. She would usually make a light curried onion, potato and coriander shak1 with fresh savoury puris2 to go with the dish. She would dice the vegetables into small cubes using the knife in her right hand and cutting against the thumb of her left hand. That thumb bore many thin shallow lines grooved permanently into its calloused surface; the result of a myriad cuts incurred by preparing three meals a day for decades. As she prepared the vegetables, with each cut, the gold bangles on the right hand would clink gently. I was mesmerised by the swift way a potato or onion would be diced into even sized pieces by her skilled hands. I can still recall how her hands always smelled of onions, as if their scent had permeated her skin through those many cuts. 1 Shak – a generic Gujarati term for a vegetable curry. Thank you to Ashwin for letting me share his writing on my blog. My Grandma was born in the late 1800`s at the end of the Victorian era and died just short of her 100th Birthday . Sadly she never did receive the card from the Queen that she had always wanted. She lived in her later years in a small cottage which consisted of one large living room and a kitchen. There was no hot water and lighting was by a gas mantle. Heating was from a coal fire in a large black fireplace topped by a shelf on which she had placed family photos. In the corner of the room under her front window she had her bed where she would retire at an early hour listening to the radio. She particularly enjoyed listening to the old time music hall songs . In the centre of the room was her dining table on which lay a clean white linen table cover with crochet edgings all the way round which she had done herself. She loved crocheting and most of handkerchiefs and pillow cases also had elaborate edgings usually the same style of scalloping. When I visited her she brought out her white china tea service and always a plate of freshly baked buns or slices of cake. Her house always smelt of baking whether of loaves or teacakes or confectionery. Against one wall was a large ornate sideboard with a huge mirror standing on the back. It looked slightly tarnished as though the backing had deteriorated. At one end was a large heavy bible which she regularly referred to when she needed to refresh her memory. At the other end was a brass candlestick holding a candle which was ready to use if the gas ran out. Centre piece was a large clock decorated with gold on a black surround which she never forgot to wind up weekly. I used to ask her if I could do it for her which made me feel special. Her attire consisted of a pristine apron covering her dress and she only removed it after she had had her tea which was usually around 6.00pm. She then moved to her rocking chair and out came the crochet needle and very contently resumed crocheting her latest piece which may be a shawl of numerous colours of which she would give away to her friends. Later in the evening she would retire to her bed around 9.00pm and lay listening to the radio and enjoying a nightcap. Write Club The Podcast is feeling excited. Why not enter Write Club The Podcast: Free Flash Fiction Competition? All you have to do is send us up to 500 words (excluding the title) of your own original work on the theme of ‘New Beginnings’. Please send your entries to competition@writeclubthepodcast.com to arrive no later than midnight GMT on 31st January 2018. The editing journey summed up on a mug…. Yup that about sums it up! This is why I prefer blogging/networking/social media posting/writing emails/eating chocolate and last of all- WRITING! Letting the MS go is hard- very hard. Dates for writer drop in sessions at The Craft House in Saltaire…. I am running once a month drop in sessions, on the 1st Tuesday of the month, from 2-4pm at The Craft House http://www.saltairecrafthouse.com/. Both former creative writing class members, the current ones and all new people are welcome to come along. It is £12 for the 2 hours. I will provide some writing exercises/ information on websites of interest/editing help/ competitions to enter but the purpose of the session is to chat/share with the other writers and offer/give feedback. There will be a 10 minute dedicated writing slot allocated, as this was requested. A few days ago I reached over 800 followers on the blog, so I was all set to run another of my random word flash fiction competitions but I checked the figures tonight and obviously, some people are ‘spring cleaning’ the blogs that they follow and the number has dropped from about 804 to 796!